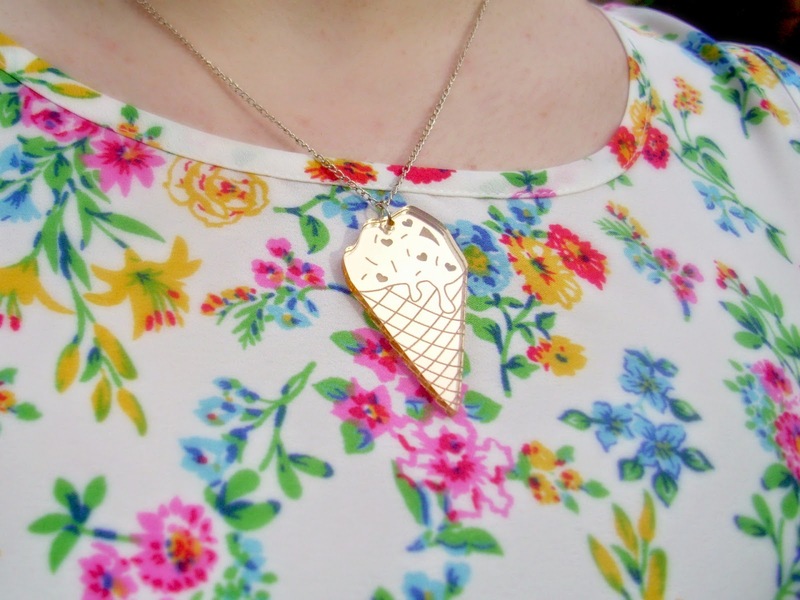 Handmade jewellery is something really special ...and it's even better when it comes in the form of an ice cream cone with sprinkles. When Claire from Cat-a-Cake Creations offered to gift me one of her unique lasercut necklaces, I immediately jumped at the chance! It's the perfect hand crafted accessory for our British sunshine. 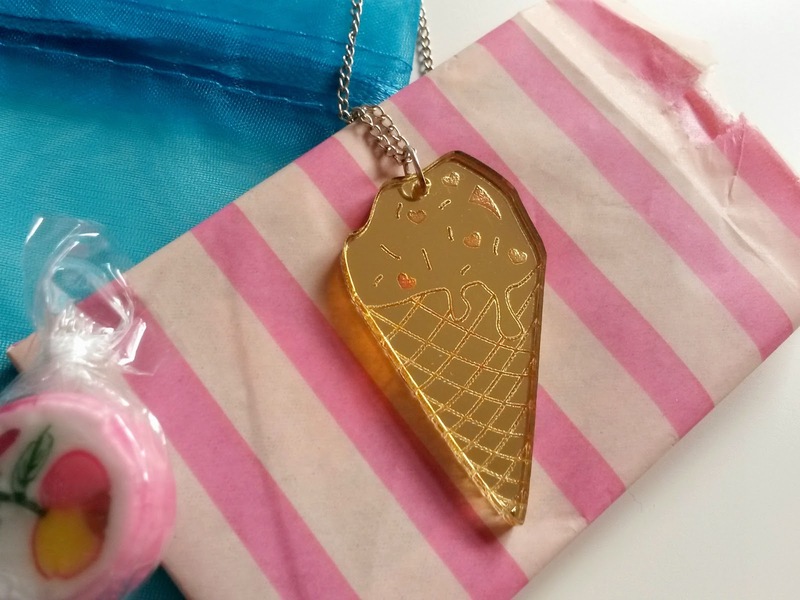 The gold mirrored ice cream cone also comes in pink or painted wood and has sprinkles and hearts engraved. There are more sweet treats in Claire's Etsy store, if doughnuts or jammy dodgers are more up your street. I've also got my eye on the Brighton Ice Lolly! Cat-a-Cake Creations jewellery are perfect for those who love a bit of kitsch! Hailing from Brighton, Cat-a-Cake Creations is headed up by talented and hardworking Claire Montgomery. Her whimsical pieces epitomise the spirit of Brighton - take a peek at her Carousel Collection to see just what I mean. Claire's packaging is spot-on too! Super-cute pink striped tissue paper and a cute organza bag adorned my necklace - along with an adorable sweetie! And it's not just jewellery, Claire also turns her hand to greeting cards, wedding invitations and event organisation! A busy bee indeed! What an adorable necklace, I love a good bit of fun jewellery!